We’re no strangers to the folks at Scosche and what they do. We also carry around a lot more gadgets than we did, say, ten years ago. So, we need power and we need more of it. Enter the new Scosche goBAT II. It might look like all the other rechargeable backup battery packs on the market, but it comes with two monumental advantages. First, it boasts two USB ports. Second, those ports put out 10-watts (2.1 amp) worth of juice. 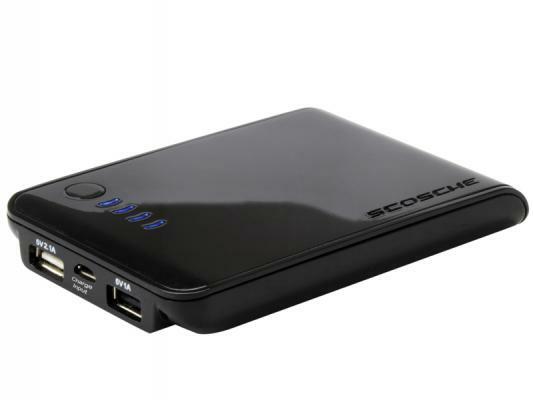 You might have noticed that some of these other portable batteries can’t charge Flip cameras and iPad tablets; the Scosche goBAT II can. Sometimes, the simplest solutions are best, don’t you think? The goBAT II is shipping now for $89.99. 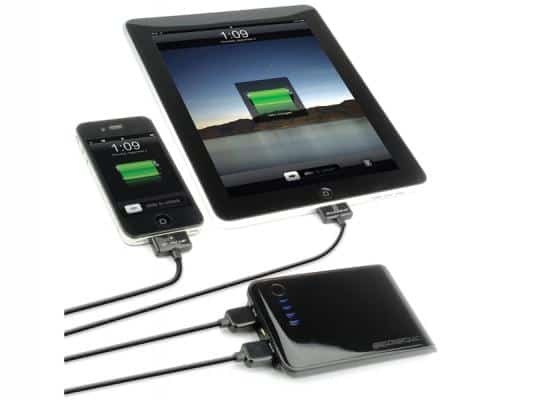 Oxnard, CA, February 17, 2011 Scosche Industries, award-winning innovator of consumer technology, is excited to announce the availability of the Scosche goBAT II, dual USB battery backup and charger. The goBAT II pairs a 5000mAh rechargeable lithium ion battery with dual USB outputs including a 10 Watt (2.1 Amp) port to meet the larger power requirements of tablets as well as a standard 5 Watt (1Amp) port for virtually everything else. 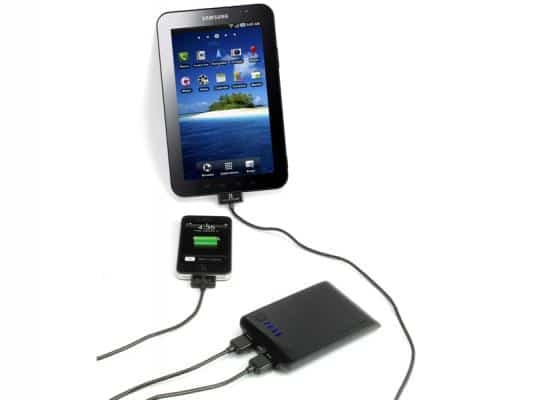 The goBAT II also ships with a USB adapter for the Galaxy Tab, maximizing tablet compatibility. Its 5 Watt (1 Amp) port allows users to simultaneously charge another USB powered device like an iPhone, Blackberry or Android device while powering up a tablet. The goBAT II also features a simple LED battery level indicator so users always know how much power is left. Also included is a micro USB cable for recharging the battery, which can also be used when charging any micro USB device from the goBAT II. The goBAT II also works with Scosches free reVIVE charging app. The reVIVE app indicates how long a device will take to charge on any of Scosches chargers and can also be configured to send an email notification once a device has been fully charged. The vast majority of our customers that own a tablet, also own a mobile phone that can be charged via a USB connection, said Kas Alves, Executive Vice President of Scosche Industries. It only made sense for us to design a battery backup that could meet the demands of both types of mobile devices, eliminating the need to carry two chargers or battery back-ups.